Too many companies fail to utilize the advantages of modern information technologies (ITs) for technology creation, transfer across borders and effective utilization. Rapid and effective technology creation, transfer and utilization are essential for survival when facing intense global competition accompanied by a rapid reduction in product and technology life cycles. Our empirical research indicates that the utilization of ITs by Scandinavian companies has distributed the technology development process among technology suppliers, subcontractors, and technology recipients who are located in different countries; and has improved the technology development, transfer across borders and utilization significantly. The tutorial is delivered by the speaker through a) presentation, b) case study analyses of Scandinavian companies that are highly successfully utilizing the advantages of modern ITs in technology creation, transfer across borders and utilization, and c) group discussions. The tutorial is targeted toward students, researchers and practitioners who are interested in technology creation, transfer and utilization at a quicker pace. 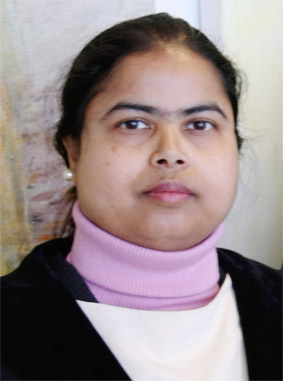 Dr. Nazmun Nahar joined the Department of Computer Science and Information Systems at the University of Jyvaskyla in Finland in 2001. She earned two PhD degrees, in Economics with a major in Information Systems Science from the University of Jyvaskyla and in Information Systems Engineering from Tallinn Technical University. She obtained two MBAs, with majors in International Business and in Information Technology. She has long experience with university research, led several research projects and supervised a number of PhD and MSc students in information systems, high technology and business. She has produced some excellent PhD dissertations and MSc theses. She has published many papers in leading IS journals, books, monographs and conference proceedings. Her research interests include: a) research processes innovation, b) globally distributed creation of closed and open innovations in the high-tech sector and their diffusions, c) commercialization of innovations and technologies in the global arena, d) IT-supported technology package creation, R&D level technology transfer and diffusion, e) knowledge management, f) global outsourcing and offshoring and g) management and business models innovation. She has given keynote speeches and served as a track chair, workshops chair, tutorials chair and program committee member of various international conferences. Since long, she has been guiding several organizations in Scandinavia and South Asia in their global business and IT strategy formulation. Since 2001, she has been teaching a variety of courses in information systems, high-technology and business at master’s and PhD levels in Finland. In addition, she has taught as a visiting lecturer in France, Norway, Spain, Czech Republic, Estonia, Singapore, India, etc. She has served as an Adjunct Faculty Professor in Singapore and Visiting Associate Professor in Estonia. She has also given numerous guest lectures, research seminar talks and industry seminar talks at national and international universities and organizations. Over the years, technology forecasting using data envelopment analysis (TFDEA) has been used in a wide range of applications. This includes predicting release dates for new products and setting future design targets. Applications include fighter jets, microprocessors, flat panel displays, passenger aircraft, wireless telecommunications protocols, digital cameras, and others. A barrier to TFDEA adoption has been the lack of available tools. Recently developed software will be demonstrated and attendees will be given copies. If you bring your own laptop, you can do the installation and then follow along with us. 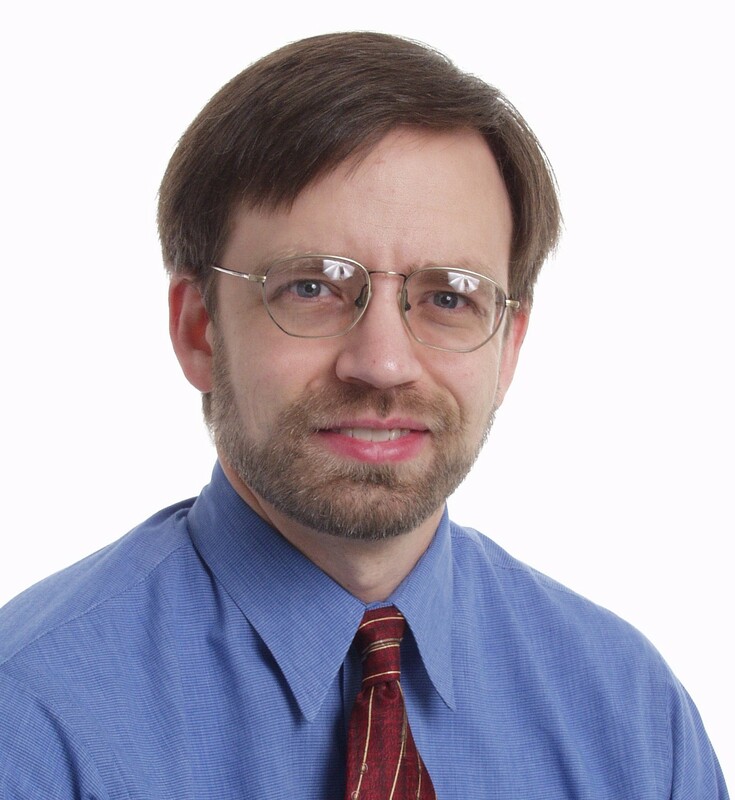 Dr. Timothy R. Anderson is an Associate Professor of Engineering and Technology Management at Portland State University. He received Master’s and Ph.D. degrees in Industrial Engineering from the Georgia Institute of Technology and a Bachelor’s in Electrical Engineering from the University of Minnesota. He has worked for and consulted with a variety of companies and organizations including Honeywell, Nike, Menlo Logistics, Oki Electric, the U.S. Postal Service, and the American Association for the Advancement of Science. He is currently Co-Director of Technical Activities for the Portland International Conference for the Management of Engineering and Technology. He has served as Program Chair or Co-Chair for PICMETs in 1997, 1999, 2001, ’03, ’05, ’06, ’07, ’08, ’09, ’10, ’11 and ’12. His current research interests are productivity analysis, operations research, service engineering, technology forecasting, and new product development. Recent journal articles have been published in the IEEE Transactions on Engineering Management, R&D Management, Technological Forecasting and Social Change, International Journal of Innovation and Technology Management, and the Journal of Productivity Analysis. Dong-Joon Lim is a full time Ph.D student of Engineering and Technology Management at Portland State University, USA. He studied at the Sungkyunkwan University, South Korea, and received the degree of M.S. in R&D Management after receiving his B.S. in Systems Management Engineering. He has participated in several consulting projects including Samsung, Nike, and Sharp. His research areas include efficiency measurement, technology forecasting, frontier analysis, and new product development. Recent journal articles have been published in Mathematical and Computer Modeling and the Journal of the Korea Association of Defense Industry Studies. Project portfolio management (PPM) is the process to decide which projects get funded and which have to be dropped or deferred. This is critical for all organizations with scarce resources, i.e. more good project ideas than people or money to do them all. Most R&D and technology organizations have this problem, but also many IT, marketing, manufacturing, capital project and even public sector organizations. PPM helps organizations align and execute strategy, maximize value and manage risk. PPM also helps optimize the use of scarce resources and manage bottlenecks as the funded projects progress through the project pipeline. This tutorial defines portfolio management, discusses why it is important, presents the most useful frameworks, concepts, tools and displays, reviews several PPM case studies, and presents the results of a new international benchmarking study on the best practices organizations use to achieve excellence in portfolio management. It concludes with some advice on how organizations can improve in the areas that the benchmarking study showed are most difficult to execute with high quality. The tutorial will be very helpful to all R&D, technology and innovation organizations that have many great opportunities but limited budgets. Dr. Michael Menke is a Fellow of Knowledge Management at Decision Strategies Inc. assisting a wide range of companies with strategy, decision making and portfolio management. Formerly he was the chief portfolio advocate for HP advising executives and working teams at all levels and in all segments of HP on strategy development, decision making, portfolio management and new business creation. Before joining HP he was a founding partner of and led the R&D management practice at Strategic Decisions Group, a consultancy where many of the portfolio management approaches in use today by leading companies were initially developed. He has consulted with Alcoa, Amgen, AT&T, Bayer, Chevron, DuPont, Exxon, Ford, GlaxoSmithkline, HP, IBM, J&J, Kodak, Lilly, Mitsubishi, Novartis, Owens-Corning, Pfizer, Roche, Shell, Sumitomo Electric, Texas Instruments et al. on strategy, major decisions and/or portfolio management. He has been on the program committee for the IIR-PDMA portfolio conference for seven years, is a founding member of the Enterprise Portfolio Management Council, co-chair of the IEEE standards working group on Strategic Enterprise Decision Management, and has also been an invited speaker at dozens of international conferences on portfolio management, innovation, R&D/technology and business strategy and decision making over the past 25 years.